This Gas Detection and Qualified Tester course has been designed for those who operate gas detection instruments to test for potentially dangerous gases during confined space entry and during hot work operations. 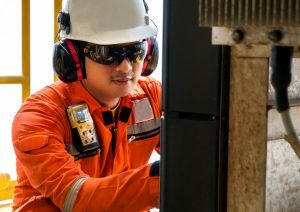 Gas detection tests must be carried out by a qualified person who has training and experience to calibrate, operate and monitor testing equipment. The qualified tester must also be capable to interpret the readings obtained from gas detection equipment. This Gas Detection and Qualified Tester course will also establish an understanding of the statutory requirements of the federal COHS, Provincial and Territorial OH&S legislations. We will achieve this through discussion of gas detection fundamentals and by participating in skills practice exercises. The Operating Principles of Atmosphere Monitoring and Measuring equipment. Gas Detector Pre-start Checks, Bump Testing and Calibrating. The Behaviour of Different Flammable and Toxic Gases. The Range and Frequency of Tests and Interpreting and Documenting Test Results. The Principles of Gas Testing as Applied to Confined Space Entry and Hot Work Activities.